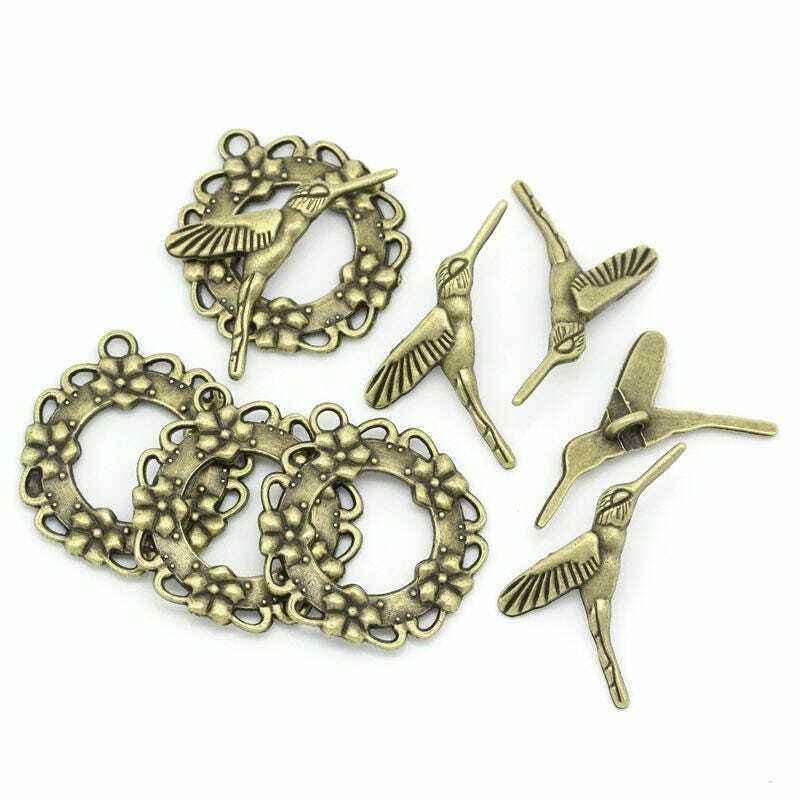 5 hummingbird toggle clasps in antique bronze. 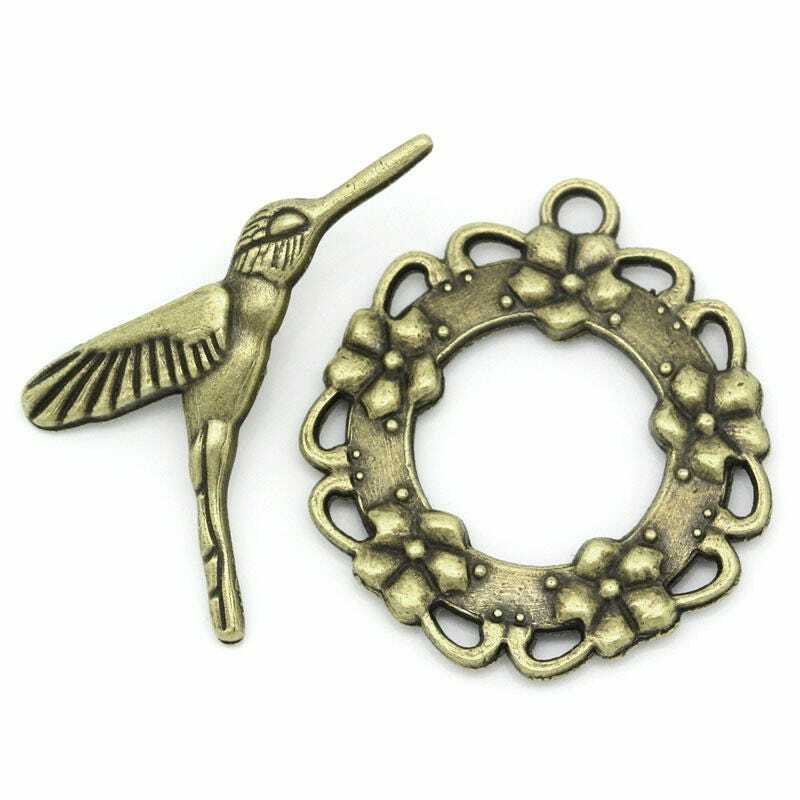 The bar on the toggle set is a hummingbird and measures 29mm and the toggle ring has a pretty floral garland pattern and measures about 28mm. 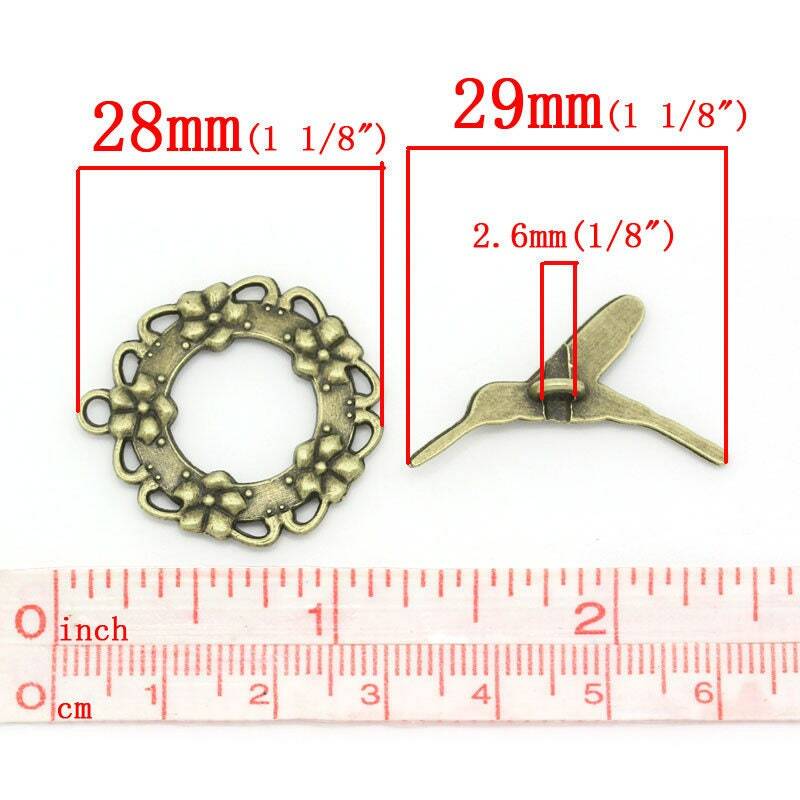 You will receive 5 complete sets of toggle clasps with this listing.